I. Fehervari, A. Sobe, W. Elmenreich. 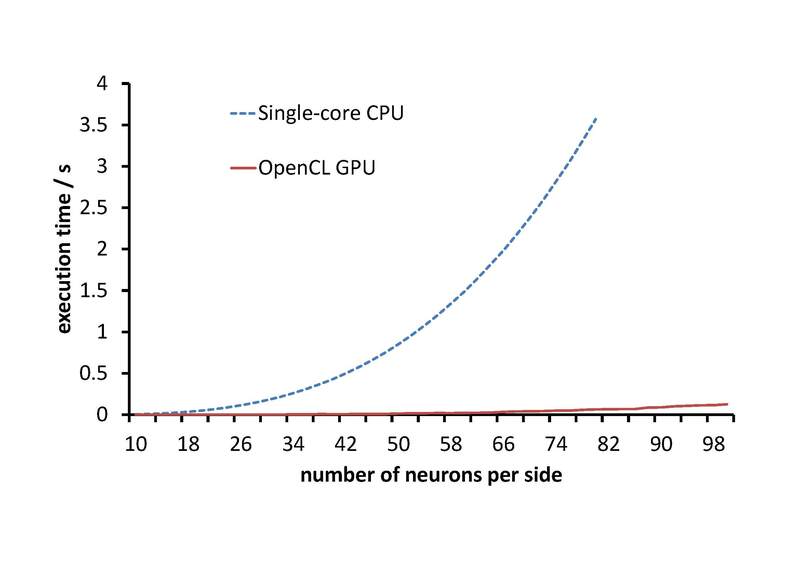 Biologically Sound Neural Networks for Embedded Systems Using OpenCL. Proceedings of the International Conference on NETworked sYStems (NETYS 2013), Marrakech, Morocco, Springer 2013. Neural networks are widely used in machine learning and many implementations exist to process images, process information, etc. Biologically sound neural networks are more powerful than standard ANN models, because the encoding is done in a spike train, conveying also information in the time domain. Thus, spiking neural networks have nice properties, but they require significant computing power to emulate them. For embedded systems, computation is a critical resource. 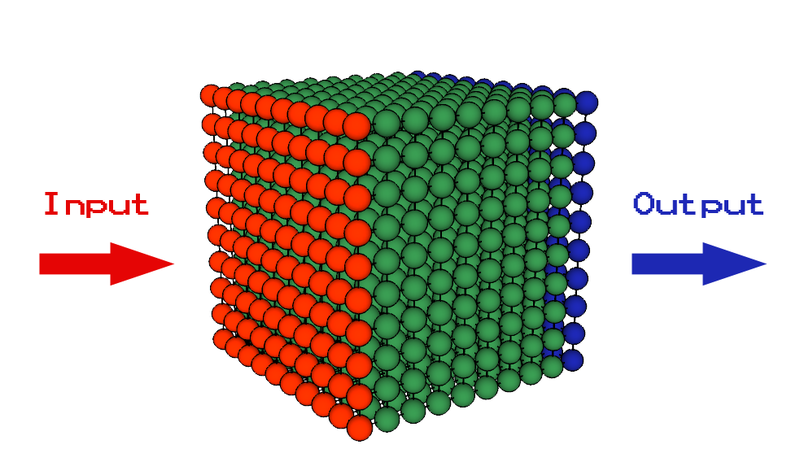 We propose to use OpenCL for massive parallelization of the neural network model. OpenCL is a framework for programming software running on GPUs. But this is not enough, the most complex part comes from updating neurons and the state of the influenced neighbors. We therefore propose a connection model where each neuron is only connected to its neighbors, up to a given hop distance. Using this model we were able to simulate 1 million neurons instead of 100.000 (which is big for usual networks). The performance gain is already excellent, but we even went further. OpenCL supports local memory for so called task groups and a second-level shared memory for all tasks. Shared memory is slower, therefore, we redesigned the implementation in such a way that it only uses the local memory of OpenCL. This final measure improves the latency well enough to run our system with a high number of neurons on an embedded node such as a robot or a smart camera attached to a drone. This entry was posted in Embedded Software, Sensor Fusion, Uncategorized and tagged embedded software, hardware, OpenCL, signal processing. Bookmark the permalink.